Since Valentine’s Day is around the corner, I thought it would be nice to design something festive. 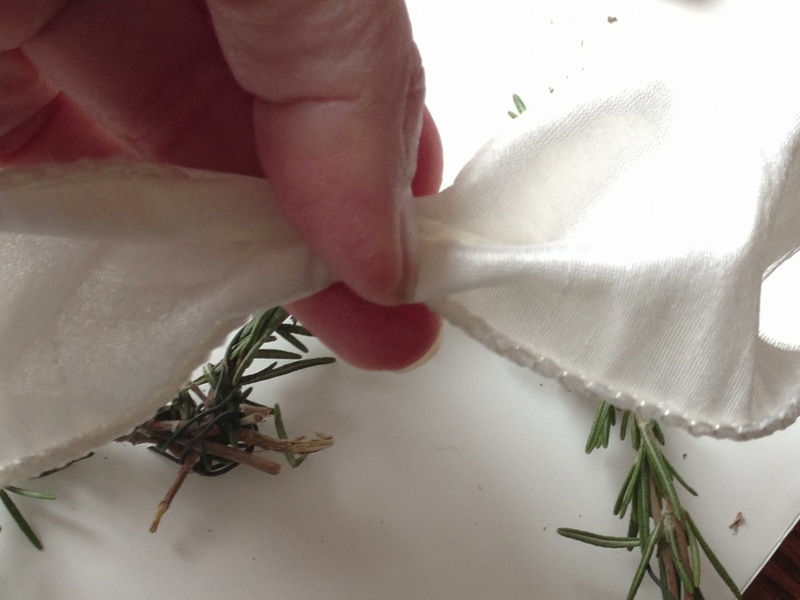 I’ve been dying to make something with all the rosemary that I have in my garden. Yes, I have hedges of it and they are in need of a trim. 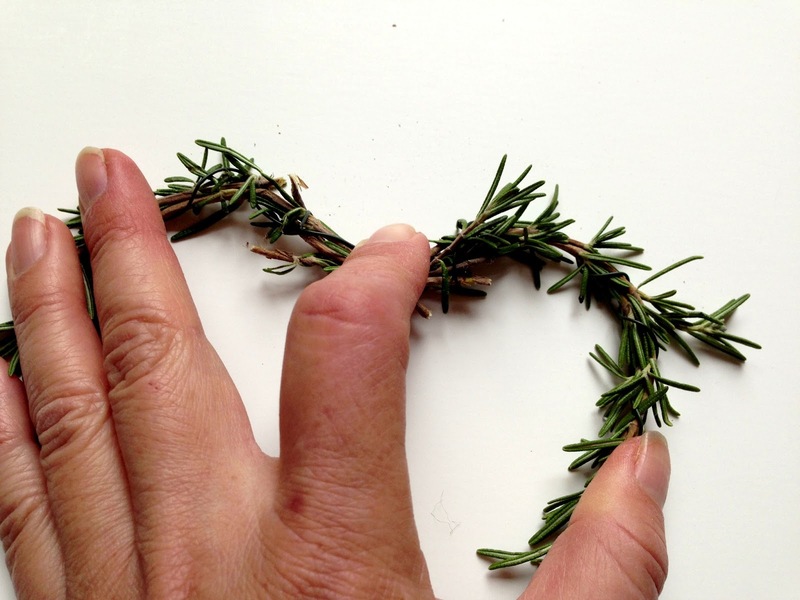 I came up with this rosemary shaped heart and I kind of let it evolve into it’s own design. As you can see there is not an ounce of red or pink, huh… I don’t gravitate towards those colors, so I’m not surprised that I ended up with a heart that has whites and browns. 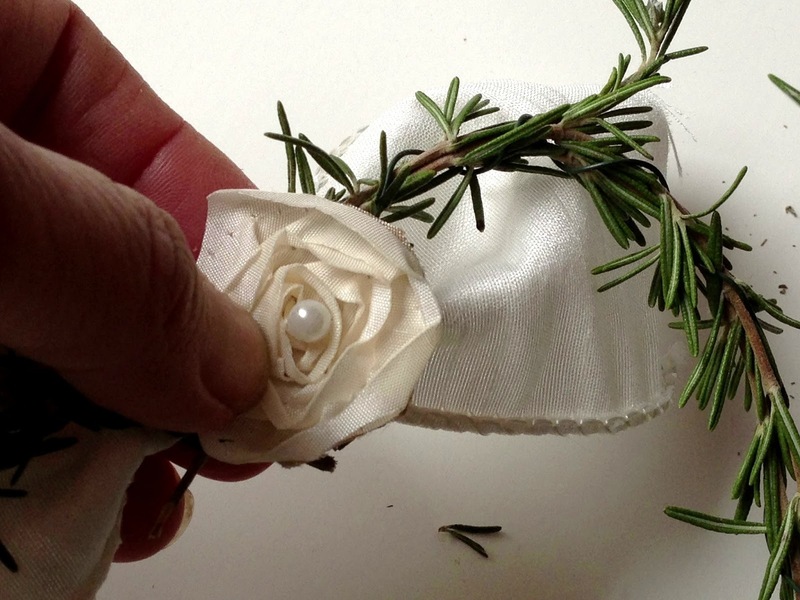 I do like the final outcome and I love the pearl and rosemary combination, both are kind of delicate! I did notice that my hands had a wonderful rosemary perfume to them, so if you make this project you’ve gotta like rosemary! 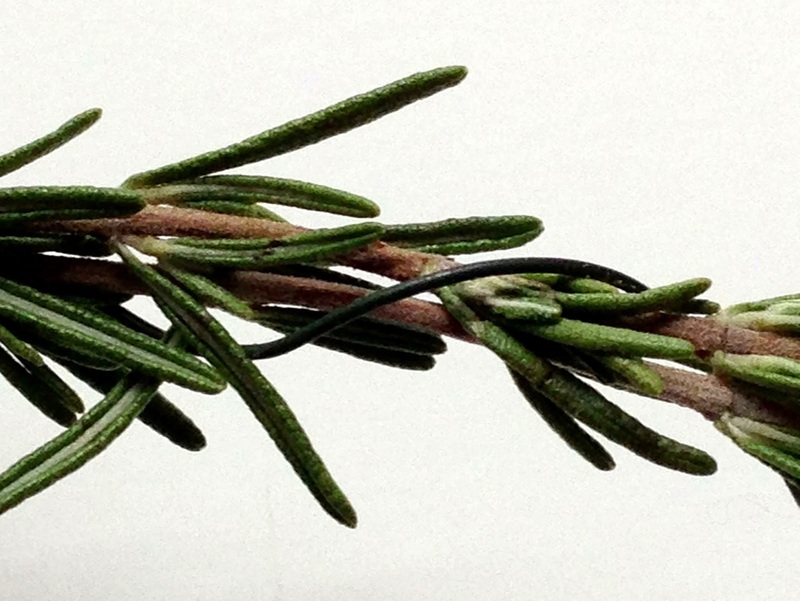 Hope you have rosemary in your garden or have a friend with a plant. Oh and, by the way, I looked up the word rosemary to see if it had any interesting facts and here is some interesting information. maybe I need to bake and cook with it as much as I can so I can benefit from it physically! 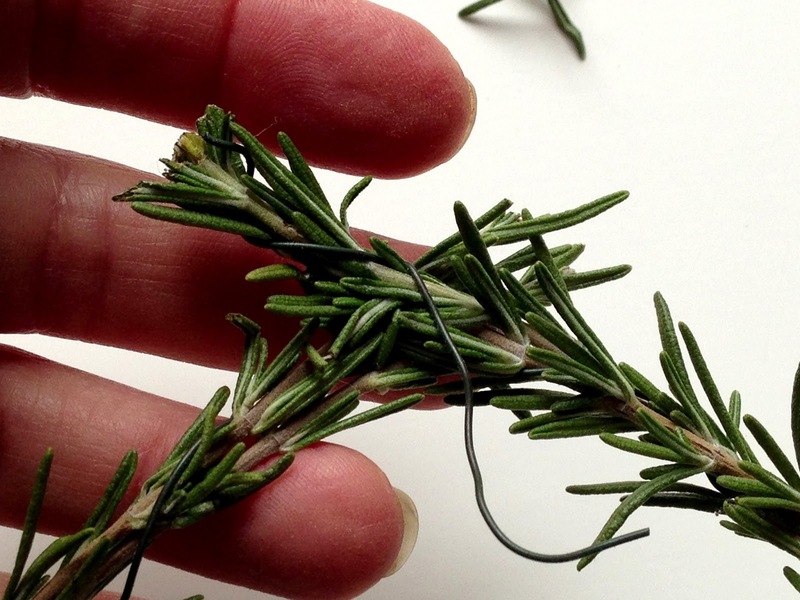 Rosemary is used as a decorative plant in gardens and has many culinary and medical uses. The plant is said to improve the memory. Take 4 equal size branches and divide into two parts. Then take the two sets and bring the ends together. Now, take your wire and wrap the two ends together. Then take your other ends and wrap them together, this is your bottom of your heart. Now take your circle and place on a table and bring down the middle to make the shape of a heart. 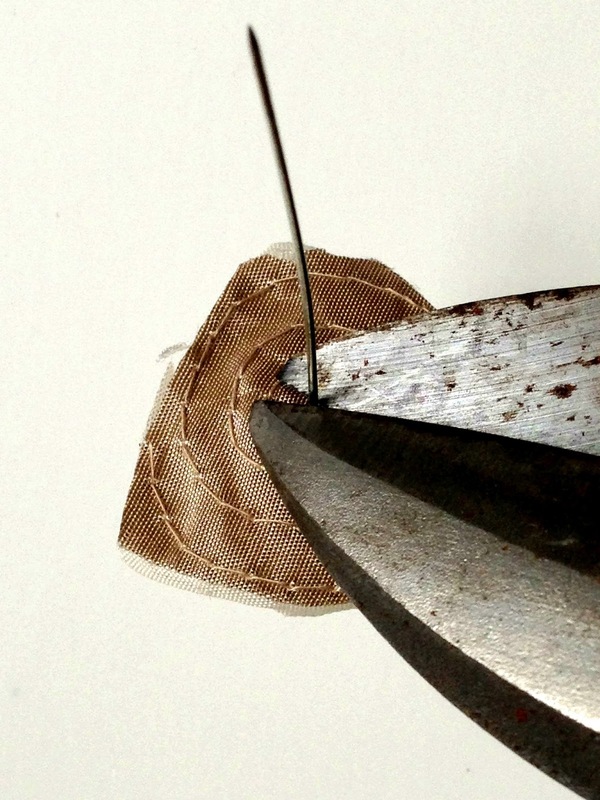 Now this is the tricky part, you have to wrap your wire around this top shape. 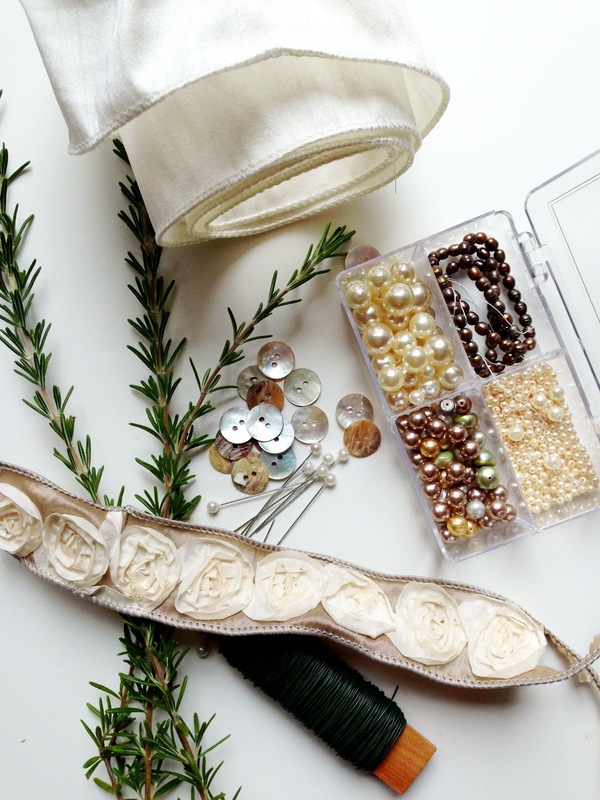 You can be messy here with your wire since it will be covered up with the roses and bows. Take another wire and wrap it down both sides of your heart shape. 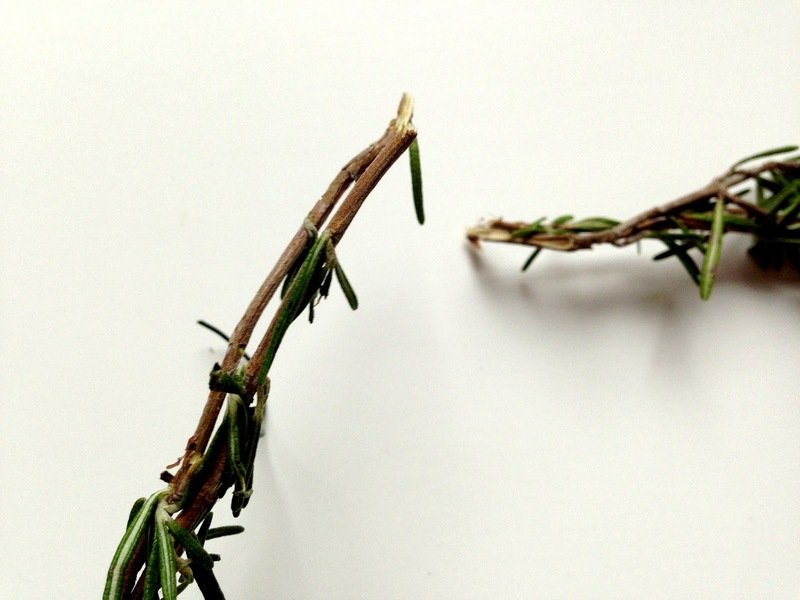 I guess you could wrap the rosemary before shaping into a heart. This wire will help you shape the heart and since the wire is green it really doesn’t show up. 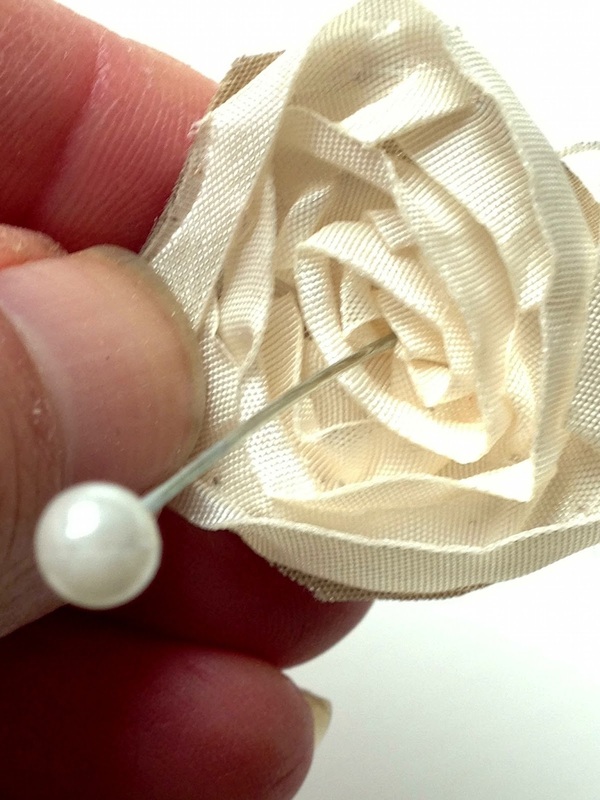 And then trim the pin on the back. I couldn’t find my small wire cutters and these are giant. Oh well, they will get the job done! I bought some taffeta cream ribbon, you can create any look you want here. Instead of making a bow that would be too bulky, I just took a piece and scrunched it in the middle. 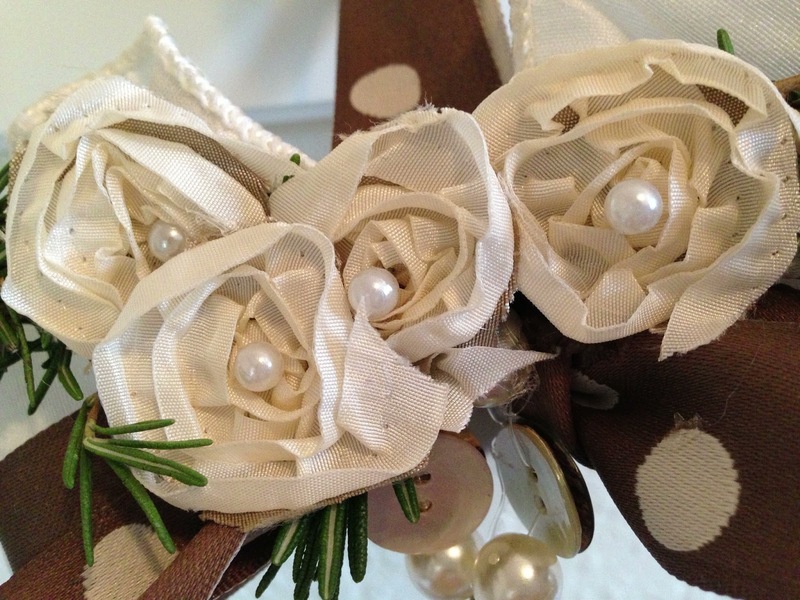 Glue the cream bow and rose on the wreath at the top. This part is optional. 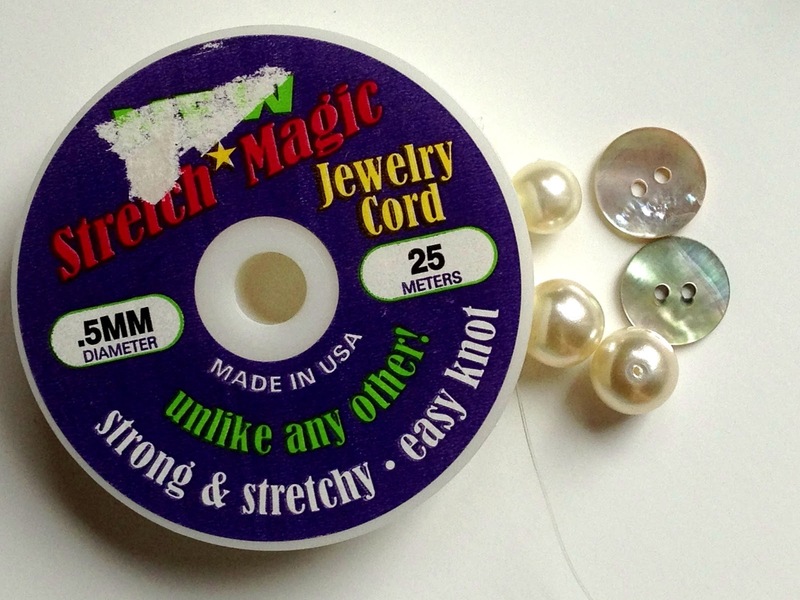 I used stretchy jewelry string and made a strand of pearls and buttons. 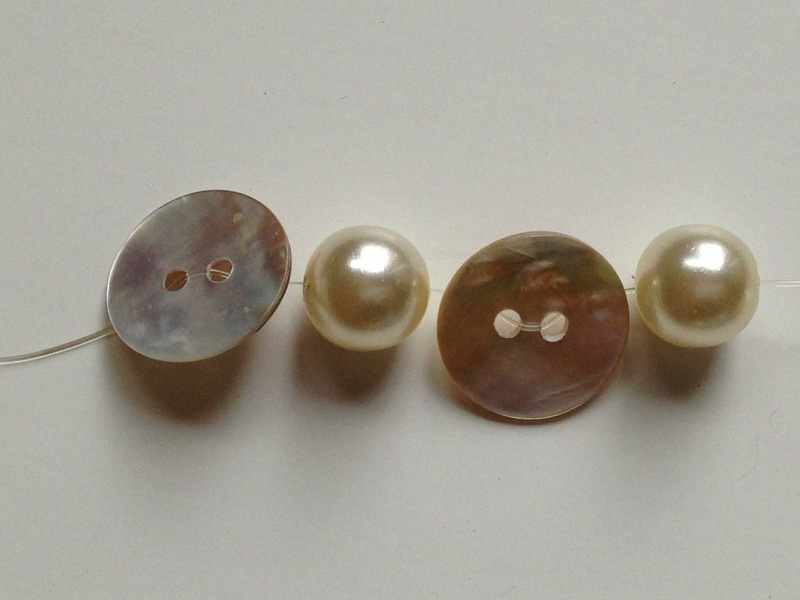 If you do decide to make this, place a knot in between the pearls and buttons, so they don’t slide altogether. your strand will look like this. I placed the buttons back to back so that the back side doesn’t show the dark color. 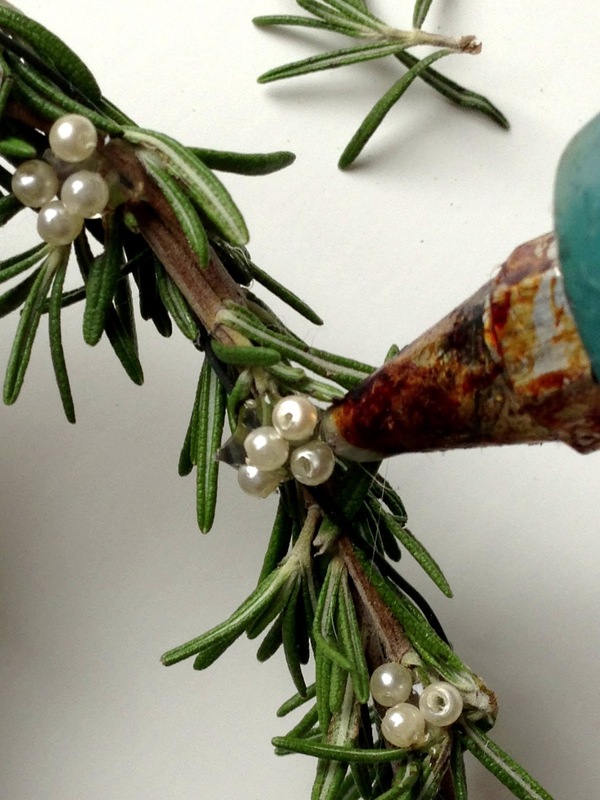 I just placed dabbed spots of hot glue on the wreath and then sprinkled little pearl beads. This is the fun part! 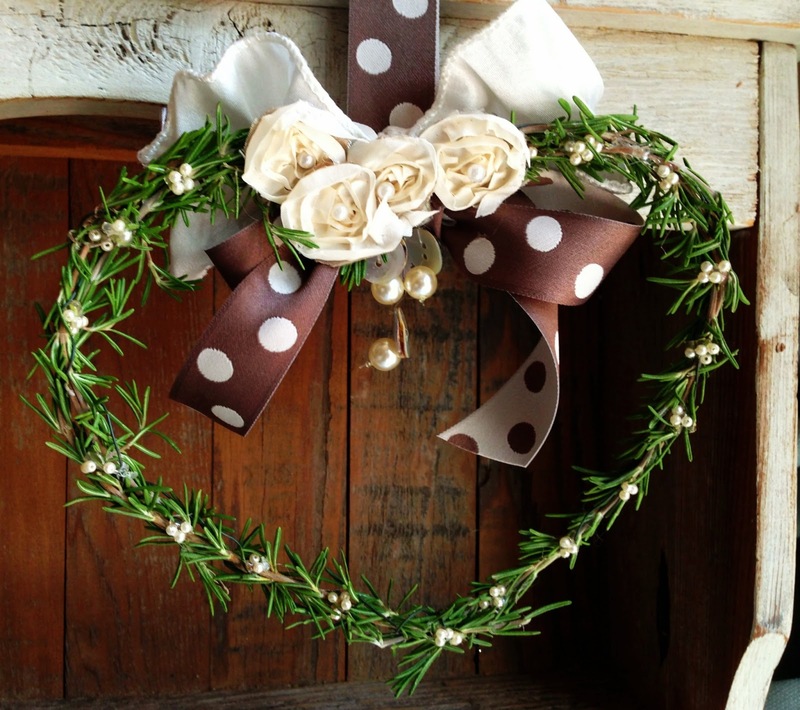 Finally, make a bow with a contrasting color and place it upside down on the backside of the wreath. 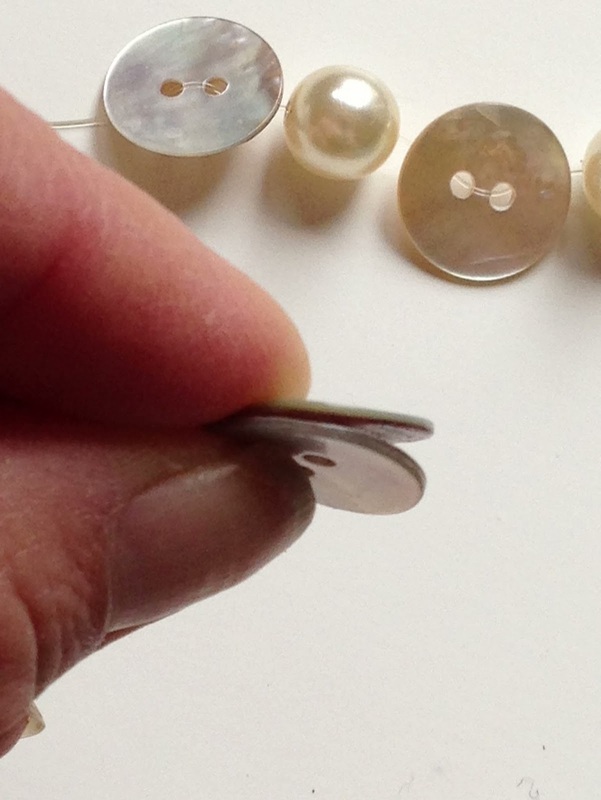 and then make a loop and glue on the back. 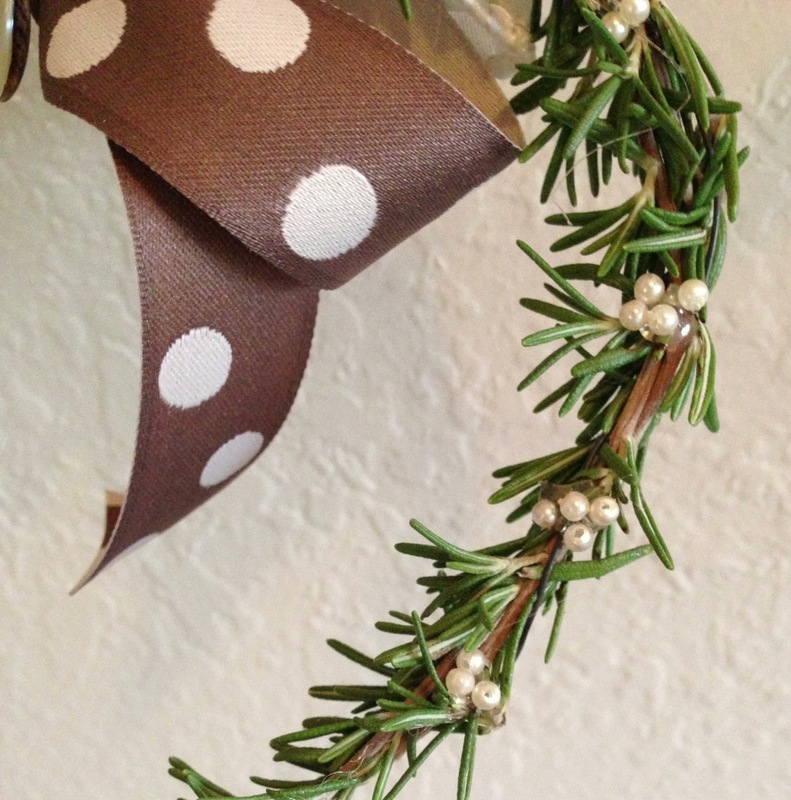 this will allow you to hang your wreath. you’re done!